Is My house suitable for Solar Panels? Have you ever wondered why the Celtic Sea, located off the south coast of Ireland, is home to so many marine predators? No? Well, scientists at Britain’s National Oceanography Centre have. This month they set about finding out, using a long-endurance autonomous surface vehicle known as the C-Enduro. That’s where the C-Enduro comes in. Made by ASV Unmanned Marine Systems, the 350-kg (772-lb) solar, wind and diesel-powered catamaran was launched from the Welsh town of Milford Haven on August 20th. For this particular study, it’s equipped with GoPro cameras, marine mammal acoustic detectors and a meteorological station. 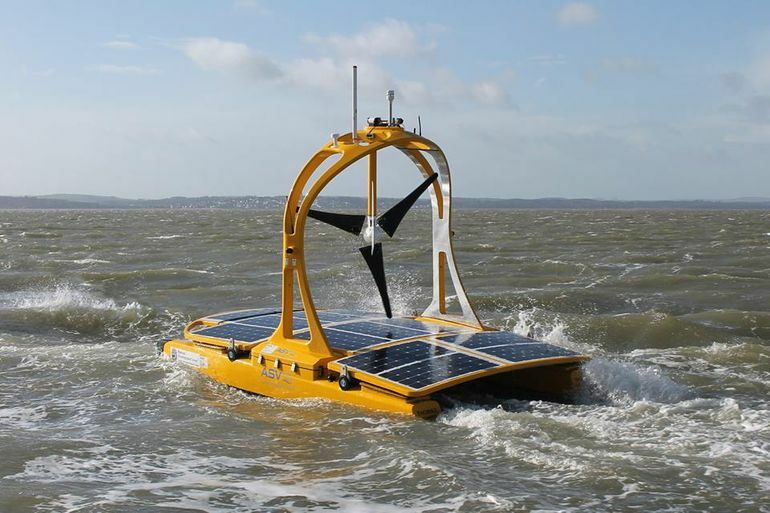 Because it draws power from solar panels and a wind turbine, it could potentially remain at sea for up to three months, with its two brushless motors providing a maximum speed of 7 knots (13 km/h or 8 mph) via two propulsion pods. Even if it capsizes during that period, its self-righting carbon fiber hull should quickly get it back upright. 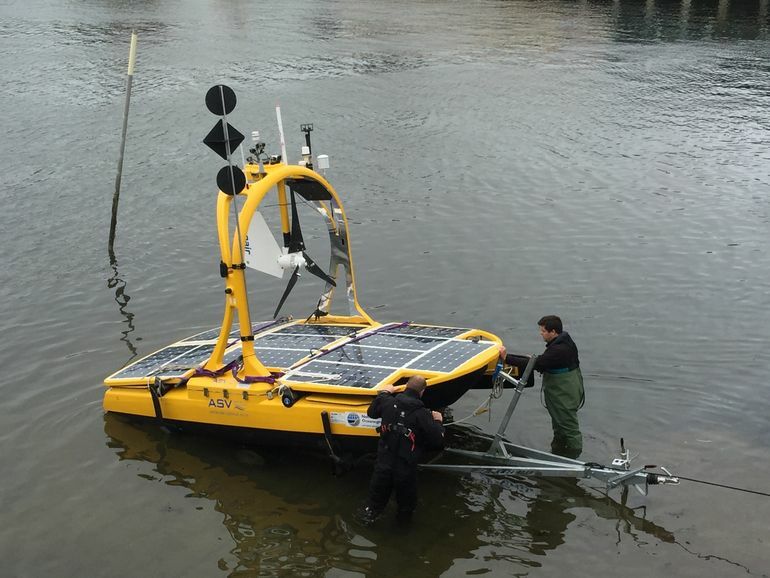 Although the craft is autonomous, ASV will be controlling some aspects of its operation by satellite from the company’s base in the English village of Portchester. An onboard collision-avoidance system will help keep the vessel from running into other watercraft. The study is partially supported by the World Wildlife Fund, and also involves the use of an autonomous Slocum submarine glider. You can see the C-Enduro in action, in the silent video below. Solar and wind energy will prevent the emission of 3,800 million tons of CO2 each year by 2030, and it could be much more if everyone could step into it. We believe that by helping power more of the world with renewable energy, we’re creating a better future for everyone. From the first inquiry to installation, we take every care to ensure that our customers get the best care and the best value for money when they engage our services.